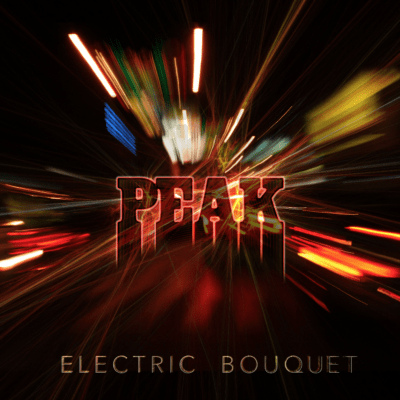 Forming as a band in mid 2016, PEAK has been undeniably busy- and the proof is in their debut album, Electric Bouquet. Artfully written and produced, Electric Bouquet showcases the bands’ talent through thoughtful and fun lyrical content, clean musicianship, and perfect funky flow from song to song. Described as “a remarkable and mesmerizing mix of musical flowers” Electric Bouquet truly does present as a story. Each song feels like a beautifully written chapter in your favorite novel. PEAK plays with sound in a delightful way. Their reflective lyrics are complemented by sophisticated musicianship. Jeremy Hilliard’s vocals soothe and captivate the listener. The production on this album is top notch, a product of the band’s dedication to their art and Dave Brandwein’s (of Turkuaz) production magic. The album starts off with “Barometric Pressure,” a bouncy and crisp song with vocals that give a flowy contrast to this tight track, but quickly switches it’s pace with songs like “Imaginary Lines.” A spacey psychedelic essence is brought into play on this tune, and I can almost sense a bit of a Pink Floyd influence sneaking in. Many times throughout the album PEAK has elements to their songwriting that honors their influences, but still remain refreshingly different. Some songs on the album, such as “On The Grind” have a heavier, darker energy to them- but the tension the track causes the listener to feel is immediately elevated by the following more gentle track, “My Heart.” It is in these transitions that PEAK takes us on a journey that is unpredictable, but still comfortable. My favorite track is “Falling Backwards Through Time.” I love the pleasant beat mixed with Hilliard’s calming and encouraging lyrics. I would highly recommend Electric Bouquet for any listener who loves an album that takes you on an adventure. PEAK has created a collection of songs that can connect generations with it’s relatable content and compelling lyrics. Play this album to hear the band blend aspects of their influences with their own invigorating sound!